This creamy cheese can be so much more than merely a topping for espresso-soaked ladyfingers (even though there's always a time and place for tiramisu). Dip into mascarpone’s sweet and savory sides with these recipes that cover everything from parfaits to pasta. Chef Sarah Grueneberg whips mascarpone with cream and sugar to give the dense cheese a soft and pillowy consistency. 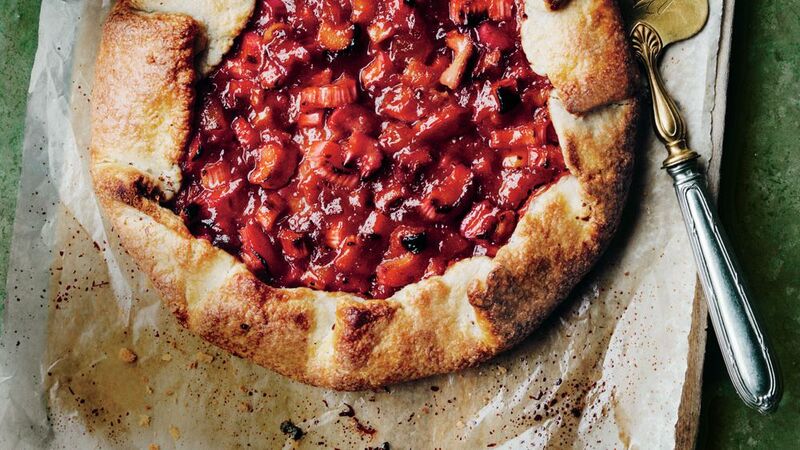 It adds that special something to any pie or tart — try it on Grueneberg’s Rhubarb and Candied Ginger Crostata! 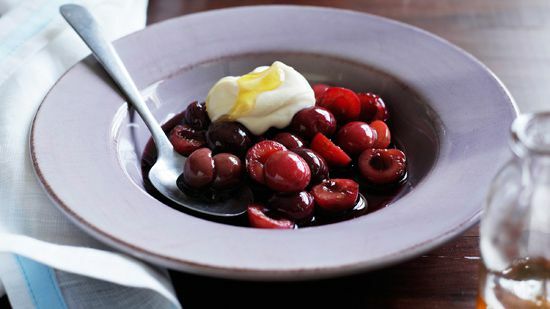 You can drink your wine and eat it too with these red wine-poached cherries, which are topped with a mixture of mascarpone and honey. The creaminess level in this banana cake is out of control, with layers that top mascarpone frosting with slices of fresh bananas. Leave it to Barbara Lynch to think up a pasta as decadent as this, which includes butter, heavy cream, and mascarpone. Why yes, these brownies DO have it all! The tangy mascarpone pairs perfectly with the fudgy chocolate, and the peanut-popcorn clusters add the ultimate crunch. Serve these no-bake parfaits in clear cups to see all the beautiful layers. 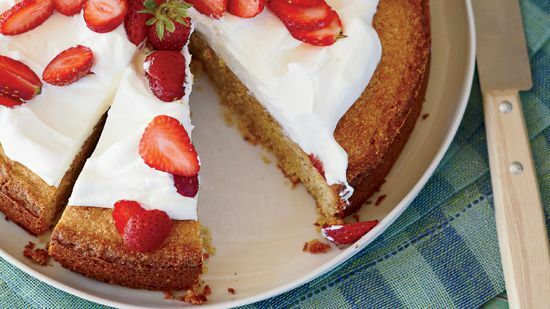 Chef Mike Lata’s take on a strawberry shortcake combines a nutty base with a whipped mascarpone topping, adding both crunch and tang to otherwise simple flavors. 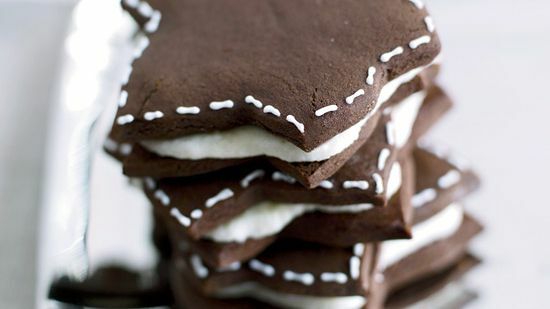 Matt Lewis uses this filling to sandwich together two of his Chocolate-Gingerbread Cookies, but it works just as well as a topping for fruit (or even just plain old eat out of the bowl with a spoon). Simultaneously sweet and savory, this unique pound cake made with polenta can work as either a dessert or an appetizer, depending on the accompanying garnishes. 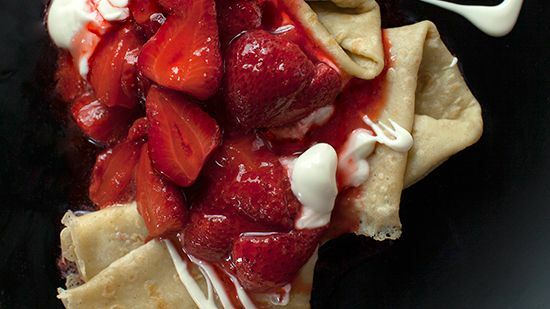 Mascarpone doesn’t only work in desserts. 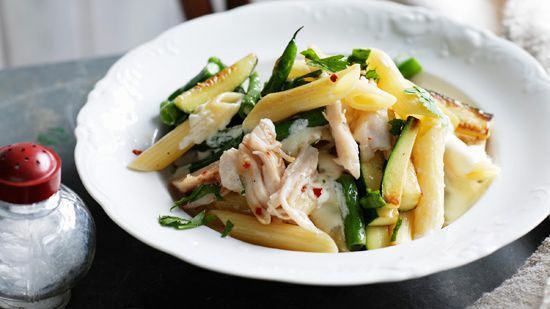 Here, the cheese adds some sweetness to a chicken and pasta dish. 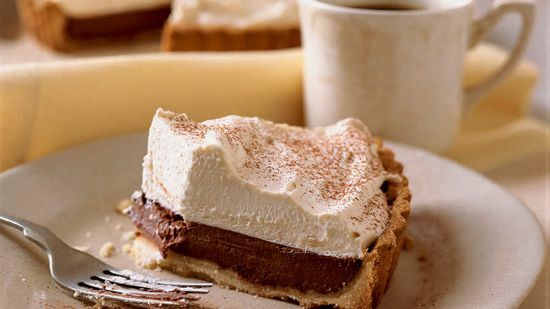 Pastry chef François Payard knows chocolate, and that comes through in this tiramisu-esque tart, piled high with coffee mascarpone cream. 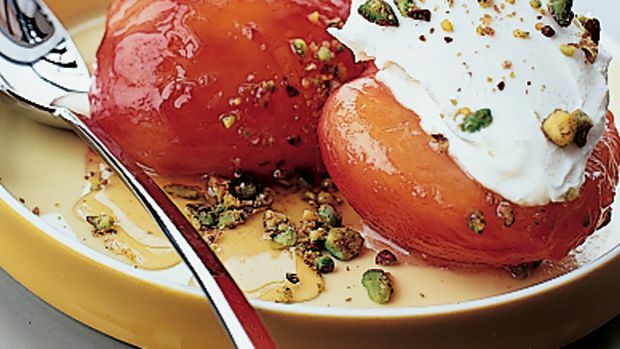 Chef Ana Sortun’s summery dessert is made up of all the things: sweet stone fruit, creamy cheese, and crunchy nuts. 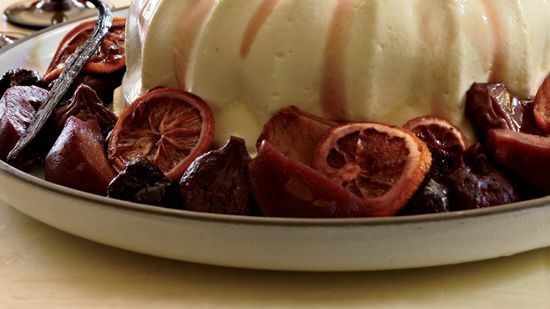 This sweet semifreddo can be made in any mold or pan. Just make sure to serve it cold from the freezer so that the slices maintain their shape. 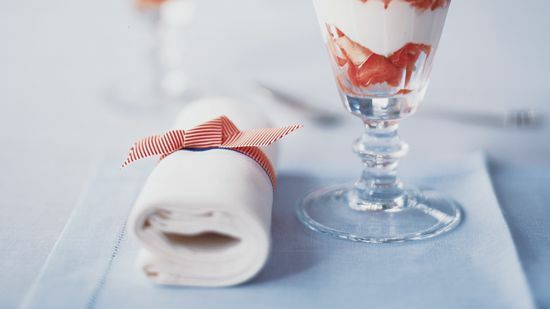 Watermelon goes well with all kinds of cheese, from feta to mozzarella, so it makes sense that mascarpone would be a perfect match for these easy summertime desserts. 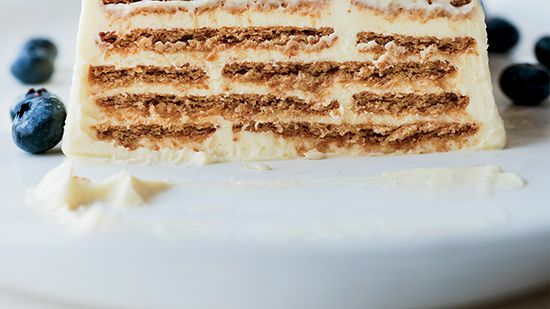 Icebox cake is traditionally made with chocolate wafer cookies and whipped cream. 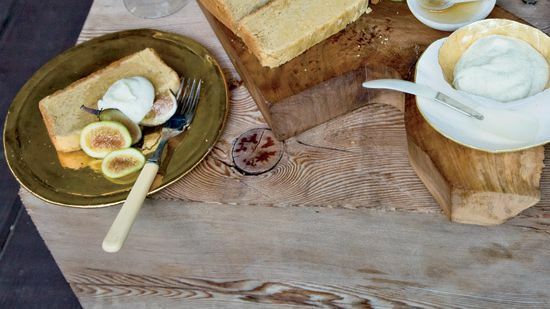 This unique spin uses graham crackers and lemon curd. 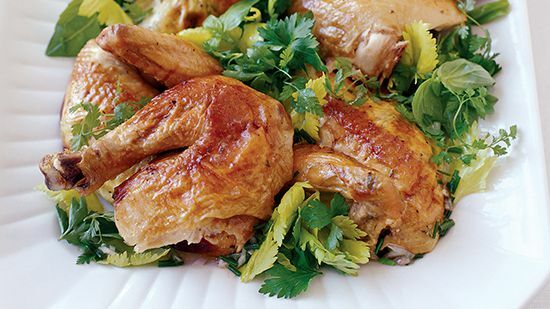 Geoffrey Zakarian stuffs his roast chicken with seasoned mascarpone, spreading the filling underneath the skin before throwing the bird in the oven. 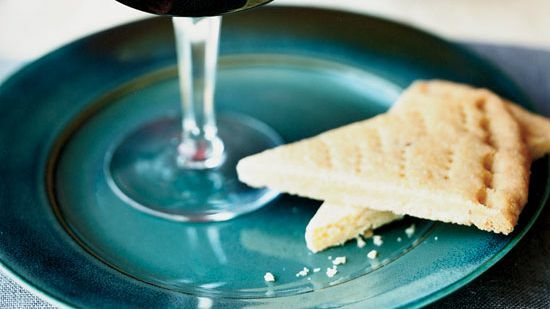 Whether served in a glass or pizza style (with the mascarpone and cherry compote spread atop the shortbread), this dessert is simple yet heavenly. 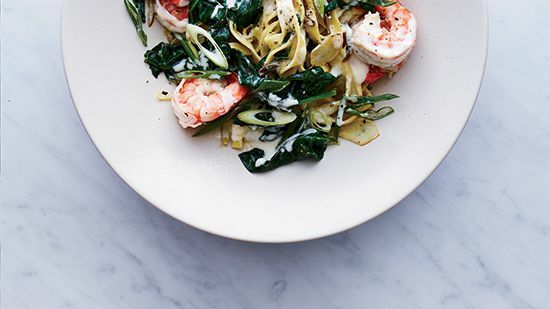 A good balance of healthy and not-as-healthy, this pasta dish is super easy to whip up and makes for a great weeknight meal. 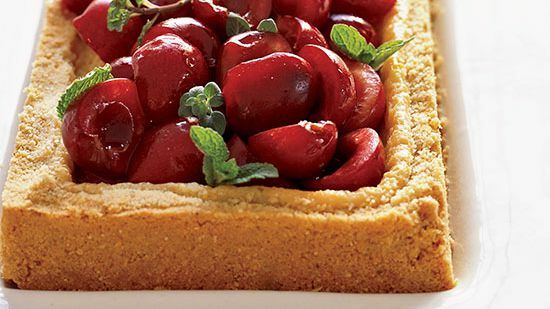 Made with a cornmeal cookie crust, this beautiful tart works at any time of year — simply swap out cherries for another seasonal fruit. 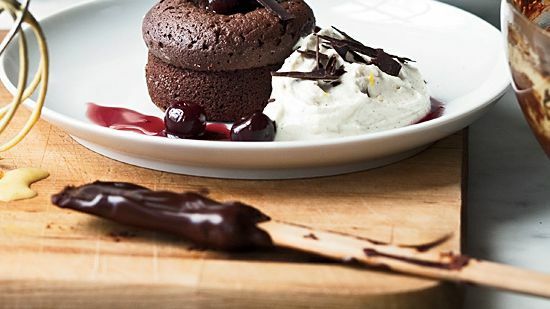 These mini Black Forest cakes are best served warm, topped with mascarpone cream that melts into the chocolate. 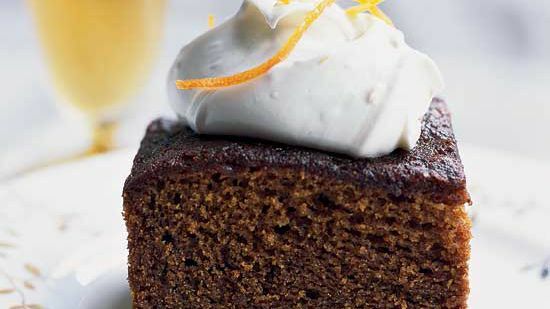 Pastry chef Katie Rosenhouse makes this mascarpone-topped gingerbread cake all year long. 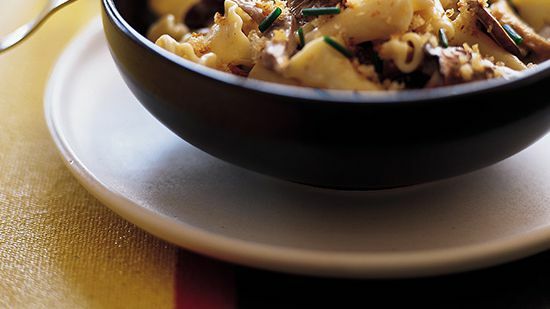 In the winter, it’s the best that comfort food can be. In the summer, it tastes like Christmas and makes you almost wish for cold weather again.